Have we given exceptional care? Make your nomination! 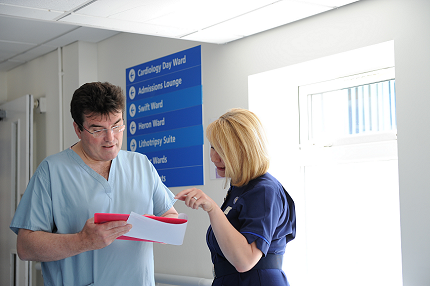 Has a member of our nursing or midwifery teams looking after you or a relative given exceptional care? Ashford and St Peter’s Hospitals is asking for patient and public nominations for NHS England’s Surrey & Sussex Proud to Care awards 2014. 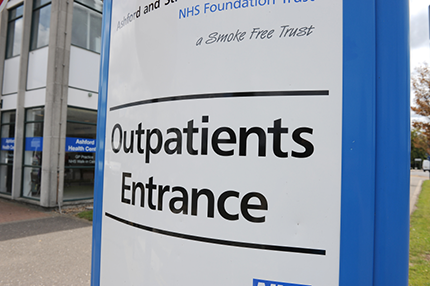 As the bad weather continues and more people are coming to hospital, Ashford and St. Peter’s Hospitals NHS Foundation Trust is recommending local people think carefully about where to get the right help when they are feeling unwell. Nine babies were born on Christmas Day at St Peter’s Hospital six girls and three boys. 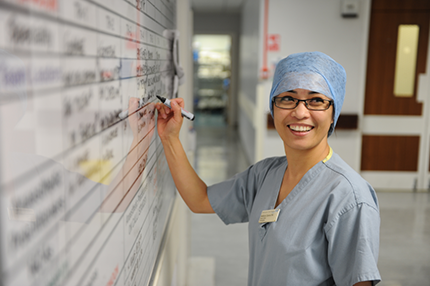 A trust wide nursing project, Releasing Time to Care (RTTC), has been announced as a finalist in the prestigious Lean Healthcare Academy Awards 2014. 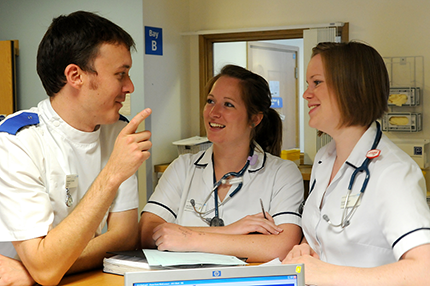 These awards are an opportunity to share successful and pioneering best practice within healthcare across the country. Dr Mike Irani, Consultant Rheumatologist at Ashford and St Peter’s Hospitals NHS Foundation Trust, has been honoured with a Fellowship of the Royal College of Surgeons of England for his commitment to medical education and examining. 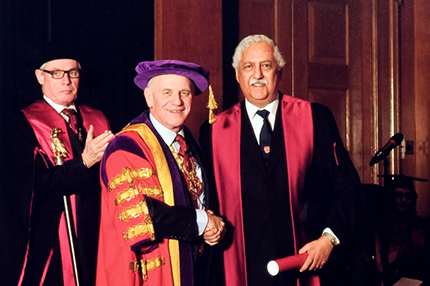 This comes as a particular honour as Dr Irani was elected for the Fellowship by The Court of Examiners of the Royal College of Surgeons, rather than simply being nominated. 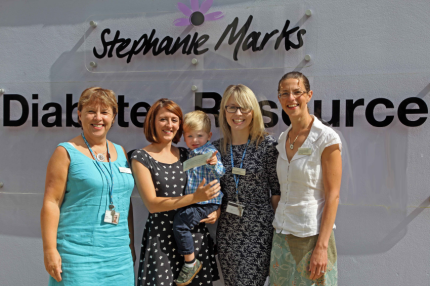 The Paediatric Department at St Peter’s Hospital in Chertsey have a new Speech and Language Therapist service for new-born babies and children who have complex feeding difficulties or in communicating their needs. Joining the wider Multidisciplinary therapists at the Trust, the new therapist will work alongside their Physiotherapy, and Dietetic colleagues, to ensure a coordinated service for our infants and children in hospital. Prevention is key in the fight against cervical cancer, according to a gynaecologist at Ashford and St Peter’s Hospitals. Despite being a preventable disease, almost 3,000 women a year are diagnosed in the UK – and 20% of women do not take up their invitation for cervical screening. 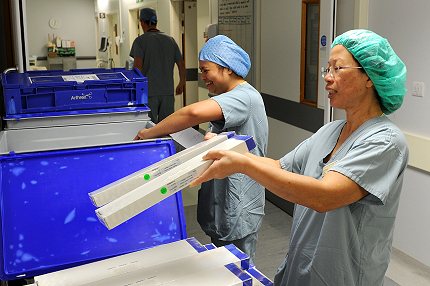 As with many other Trusts across the country the government has put in place specific sustainability targets, to reduce the carbon footprint of the NHS and protect the environment for future generations. 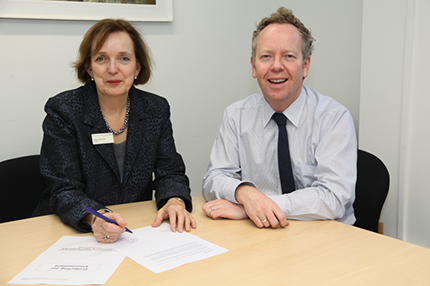 The Trust’s Chairman Aileen McLeish and Chief Executive Andrew Liles signed our sustainability commitment this week, pledging to reducing our emissions by 10% by 2015. In terms of fuel cost this is a saving of more than £200,000 and enough CO2 saved to cover the emissions from 1000 homes. 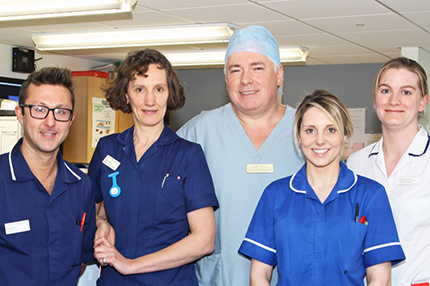 On Friday 31st January, staff and visitors at St Peter’s Hospital in Chertsey were joined by Adrian Moorhouse, former British Olympic swimmer, to open a cutting-edge operating theatre for vascular surgery. 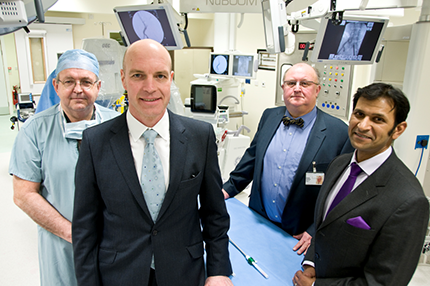 The addition of this new theatre is an important development for St Peter’s as it becomes a major cardiovascular centre for the Surrey population and means a much wider range of procedures can be carried out at the Chertsey hospital. 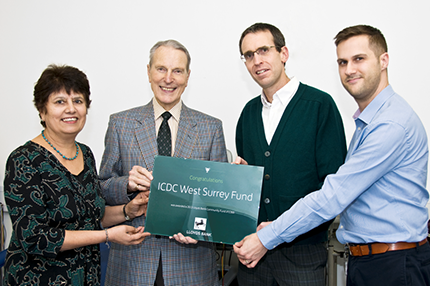 Ashford and St Peter’s Hospitals is delighted to announce that our Implantable Cardioverter Defibrillator Club (ICDC Surrey) has been awarded £300 by the Lloyds Bank Community Fund for the work they do to support patients and their families to manage their cardiac conditions, bridging the gap between hospital care and self-care. 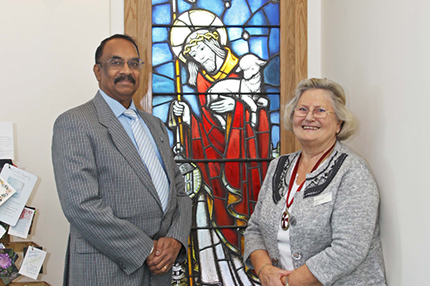 A stained glass window that has withstood all weathers in a garden for nearly 20 years has been restored to its rightful place in the Chapel at Ashford Hospital. 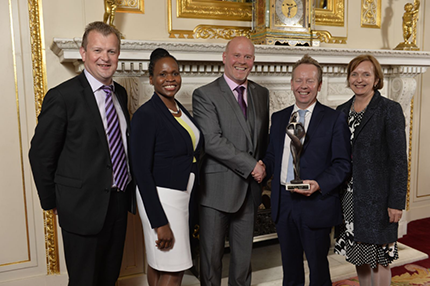 Ashford and St Peter’s Hospitals has scooped the ‘Productive Series’ award for England, at the 2014 Lean Healthcare Awards. 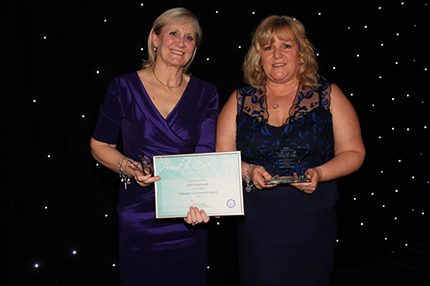 The award ceremony, hosted by the Lean Healthcare Academy on 6th February in Leeds, recognised hospitals across the country who have successfully implemented projects to improve patient care. Ashford and St Peter’s Hospitals are working with the Environment Agency, Surrey County Council, Surrey Fire and Rescue, Surrey Police, Borough Councils, South East Coast Ambulance, Social Services and the wider NHS, to keep people affected by the flooding safe. 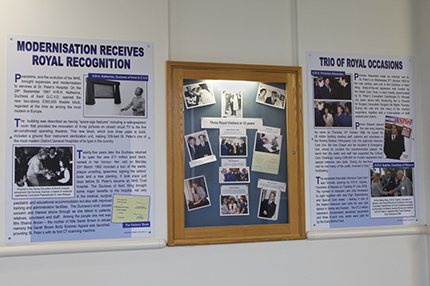 Panels illustrating two areas of the history of St Peter’s Hospital in Chertsey have now been put on public display within the hospital. The Orthogeriatrics Team at Ashford & St Peter's Hospitals NHS Foundation Trust have been shortlisted for this years’ prestigious BMJ Awards (Clinical Leadership Category), sponsored by the General Medical Council and Faculty of Medical Leadership and Management. 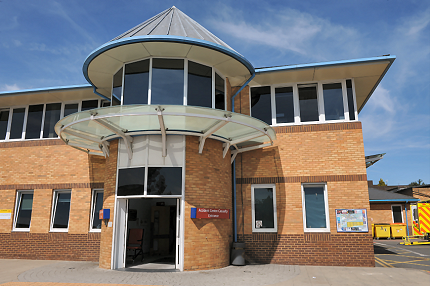 Ashford and St Peter’s Hospitals are meeting essential standards of care say the Care Quality Commission in a report published following an inspection of the two hospitals last month. 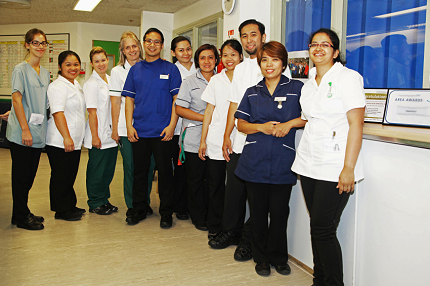 We are delighted to announce that two individual members of staff and a team at Ashford and St Peter’s Hospitals NHS Foundation Trust staff have been shortlisted for awards in this year’s Surrey and Sussex Proud to Care Awards 2014. Food and drink provide a vital contribution for people recovering from illness and for those at risk of malnutrition. 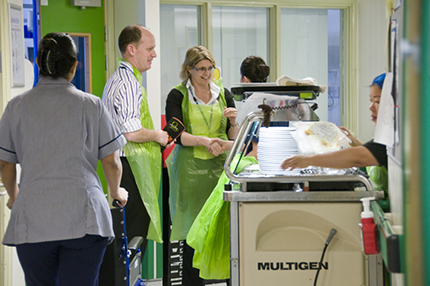 Ashford and St Peter’s have marked the week by celebrating nutrition and hydration initiatives, looking at best practice and involving non-clinical staff in various events across the two hospitals. 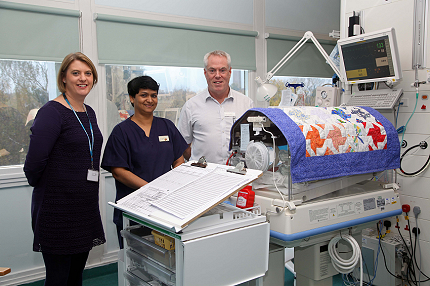 Trust Chief Executive, Andrew Liles and Neonatal Consultant, Dr Tracy Lawson hosted a short visit from the Secretary of State for Justice, Chris Grayling, to the neonatal intensive care unit at St Peter’s Hospital on Friday 14th March. 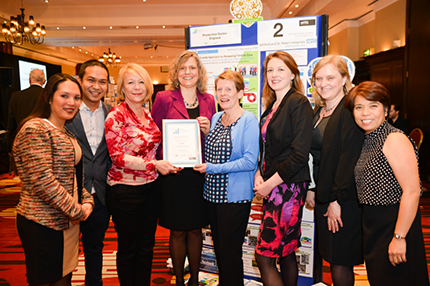 It was a night of celebration for staff at Ashford and St Peter’s Hospitals on Friday 28th March, following their success at the Surrey and Sussex ‘Proud to Care’ Awards Ceremony. 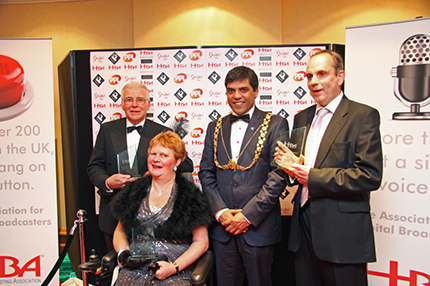 The National Hospital Radio Awards 2014 took place at the end of March in Bristol and Radio Wey picked up three of the top awards this year. Andrew Liles, Chief Executive of Ashford & St Peter’s Hospitals NHS Foundation Trust has announced he is to leave the Trust in September to take on a new role as a partner in a healthcare consultancy. 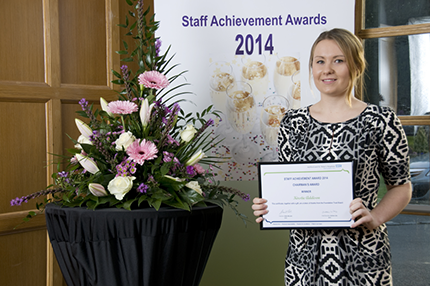 Around 130 staff and guests of Ashford and St Peter’s Hospitals NHS Foundation Trust came together to celebrate their 2014 Staff Achievement Awards on Tuesday 1st April at Oatlands Park Hotel in Weybridge. 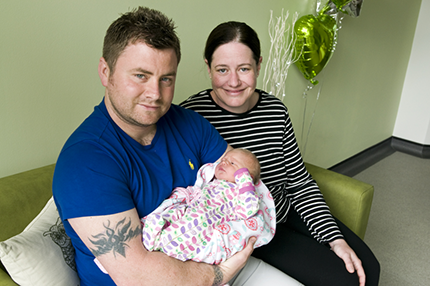 We are delighted to announce that Ashford and St Peter’s fantastic new midwifery led birth unit – The Abbey Birth Centre (ABC), opened to our new mums-to-be on Monday (5th of May) on the International Day of the Midwife. This will be a unique NHS facility in the local area and offer an ideal ‘home from home’ setting for women seeking a natural and positive birth experience. 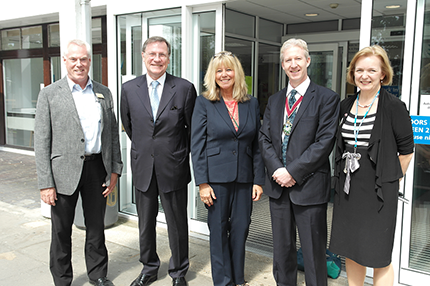 Earlier this week the Boards of Ashford and St Peter’s Hospitals and The Royal Surrey County Hospital NHS Foundation Trusts agreed that merging the two organisations is the best way to ensure high quality local healthcare with maximum benefits for patients, and have agreed to undertake more detailed work on developing a Full Business Case for merger. 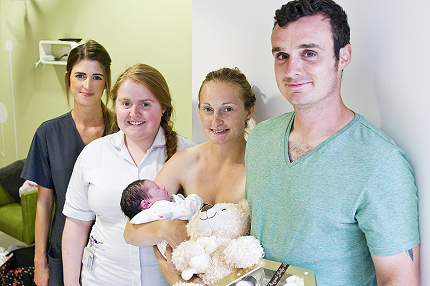 We are delighted to announce that Ashford and St Peter’s fantastic new midwifery led birth unit – The Abbey Birth Centre’s (ABC) midwives delivered their first baby in our unique facility. 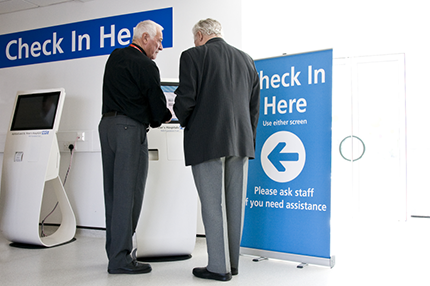 Ashford and St Peter’s are pleased to announce that our much awaited Self-Check-In service is now fully up and running. These smart, modern kiosks are harnessing the best from modern technology, with many benefits for patients and the Trust. The kiosks enable patients to check themselves in as they arrive, and provide additional confidentiality for those patients who were uncomfortable with verbally confirming their details. 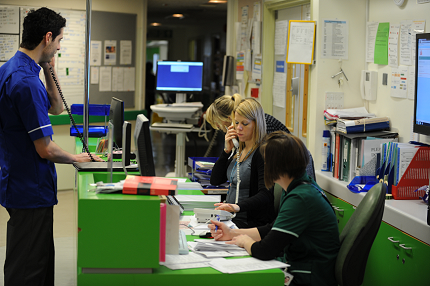 This also means reception staff can concentrate on booking follow-up appointments, and they also help to reduce the build-up of queues. 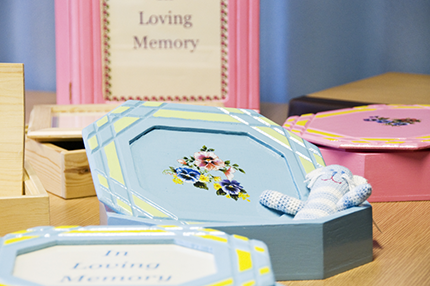 Dementia Awareness Week takes place in May every year and is run by Alzheimer’s Society - the UK’s leading support and research charity for people with dementia, their families and carers. This year Dementia Awareness Week (18-24 May 2014) is all about opening up conversations around dementia. 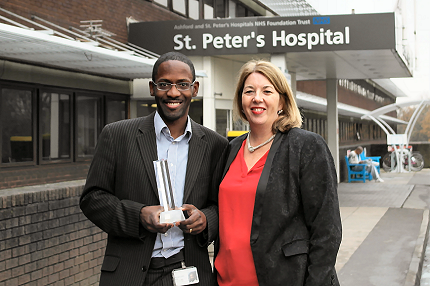 We are pleased to announce that Ashford and St. Peter’s Hospitals NHS Foundation Trust has been announced as one of the winners in the CHKS Top 40 Hospitals Awards 2014 in a recent ceremony held in London. 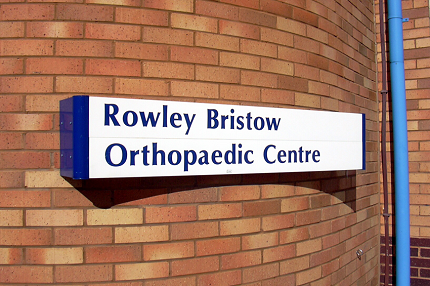 The Trust was previously rated a Top 40 Hospital in 2011 and 2013. Following the joint announcement of the proposed plans to merge Ashford and St Peter’s Hospitals with the Royal Surrey County Hospital, we would like to invite you to one of our public events in June. This is an opportunity to hear our proposals and engage in discussion around these with representatives present from both hospital Trusts. The new High Sheriff of Surrey, Peter Lee, and the Governor in Waiting for the British Virgin Islands, John Duncan, visited St Peter’s Hospital earlier this week to see first-hand work being done under a partnership between the hospital Trust and the Surrey County Council’s Youth Reparation Service. 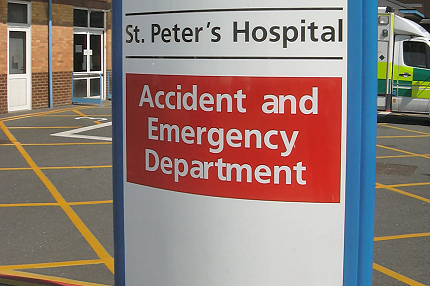 At a Board meeting last week, Ashford & St Peter’s Hospitals NHS Foundation Trust agreed to lift the suspension of parking charges for blue badge holders at their two hospitals. 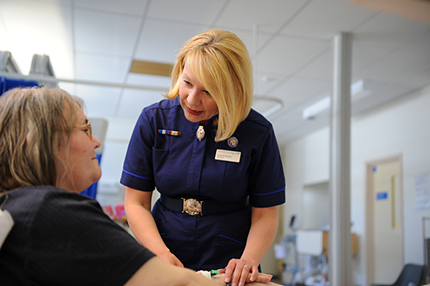 It’s an exciting time to be a nurse at Ashford & St Peter’s as we’ve launched our new Nursing Strategy Together We Care. 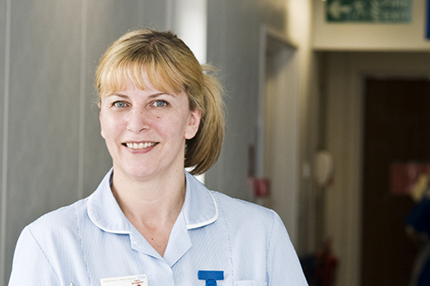 We believe in providing the highest quality safe and effective care to our patients, and our award-winning nurses are at the heart of our services. 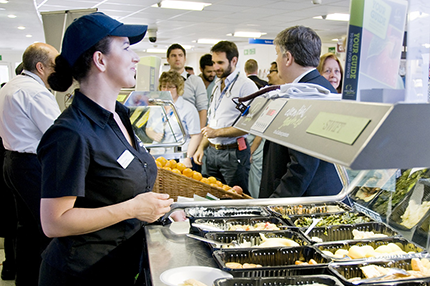 The world’s first Dietitians Week (9-13 June 2014), led by the British Dietetic Association (BDA) aimed to highlight the importance of dietitians and the role they play with patients nutrition as part of their care in hospitals and in the community. When Barry Stafford was a patient in St Peter’s Hospital Chertsey a year ago, his wife Pat and son Darren, spent many nights in the hospital before he died. 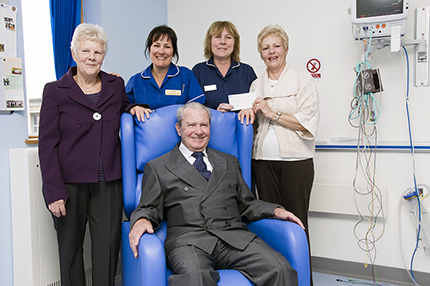 Afterwards they raised £1,000 to buy a reclining chair for Birch Ward and the Coronary Care Unit (CCU) so that other families in similar circumstances could be near their loved ones in greater comfort. Suzanne Rankin has been appointed as the new Chief Executive at Ashford and St Peter’s Hospitals NHS Foundation Trust. Currently the Trust’s Chief Nurse, she will replace Andrew Liles who recently announced his decision to leave the NHS and pursue a career in healthcare consultancy. When Caroline Warner had an aortic valve replacement at Harefield Hospital last May, she was referred to the Cardiac Risk Management service at Ashford and St Peter’s Hospitals for follow up cardiac rehab. 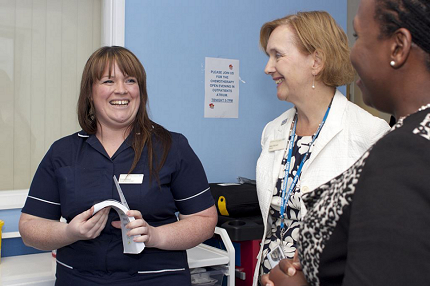 That’s when she met Liz Murphy, Senior Cardiac Specialist Nurse and her team. 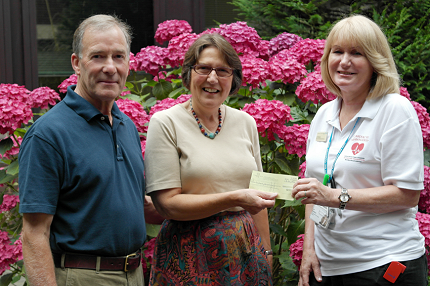 Following the care and treatment given by the hospital in helping Caroline to recover and feel like herself again – she, along with her husband Alan, decided to open their beautiful garden to the public and raised £600 for the Trust. Ashford and St Peter’s Hospitals NHS Foundation Trust advises local residents to ‘Take extra care in the hot weather so you can enjoy it and stay well’, and if you do start to feel unwell please seek medical advice as soon as possible. 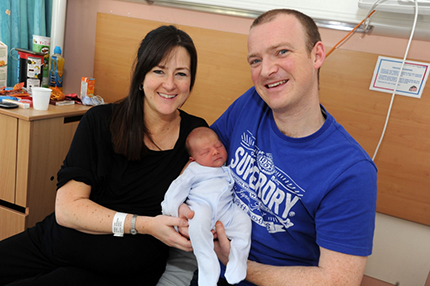 Proud parents Kathryn and Mathew Nash with Grayson - their third son – who was the 100th baby delivered at the midwife-led Abbey Birth Centre, which opened in May at St Peter’s Hospital, Chertsey. He weighed 3,955gms. 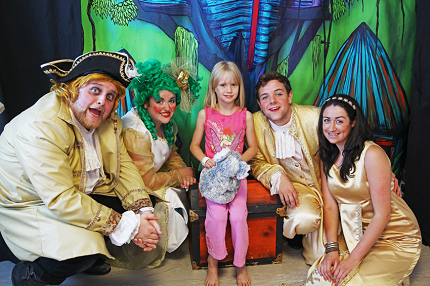 Five-year-old Maddie Anderson from Ashford, with other young patients, families and hospital staff, enjoyed a recent performance of the summer pantomime Robinson Crusoe by Starlight, in the hospital playroom. 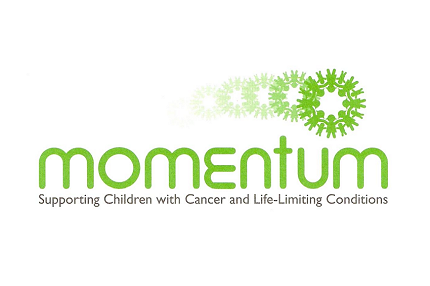 St Peter’s Hospital has teamed up with the SW London-based children’s charity Momentum www.moment-um.org to improve the healing environment on the children’s cancer ward. Momentum, which supports children with cancer in SW London and Surrey, hopes to raise £14,000 to provide a new Chillout Zone on Little Oaks Ward in St Peter’s where every year many local children undergo gruelling cancer treatment and subsequently receive long-term care. We are delighted to announce that Ashford and St Peter’s Hospitals NHS Foundation Trust has been shortlisted in four categories for the WOW! Awards national finals 2014. 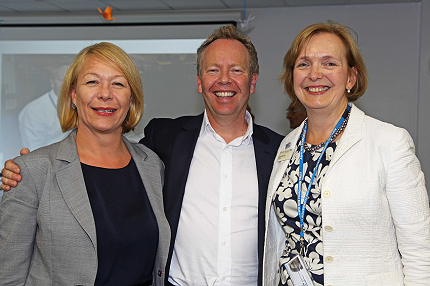 Ashford and St Peter’s Hospitals NHS Foundation Trust today (Friday 15 August) bid a fond farewell to outgoing Chief Executive Andrew Liles. At a special farewell lunch held at St Peter’s Hospital, over 100 members of staff, past and present, came to say their farewells as Andrew leaves to take up a new career in healthcare consultancy. 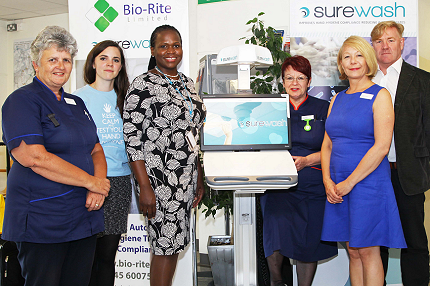 Chief Nurse Suzanne Rankin who takes over as Chief Executive next month of Ashford and St Peter’s Hospitals NHS Foundation Trust, Kate Eidens Associate Director of Nursing and Heather Caudle Deputy Chief Nurse/ Associate Director of Quality, joined patients and visitors on Wednesday (August 13) at St Peter’s Hospital for the first public demonstration of the Trust’s new SureWash hand hygiene training and assessment machine. Two-and-a-half-year-old Oscar Felton looked the picture of health as he played with a train under the watchful eye of his grandfather, Duncan, in the foyer of the Stephanie Marks Diabetes Resource Centre at St Peter’s Hospital, Chertsey last week. 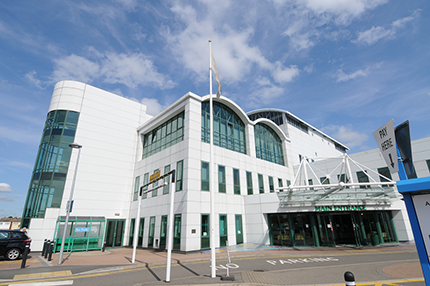 The results are currently being analysed of two major research projects completed earlier this year at Ashford and St Peter’s Hospitals NHS Foundation Trust and the Trust’s Research and Development Manager, Dr Martha Wrigley, has expressed her thanks to the 800-plus patients who agreed to take part. For anyone unfortunate enough to fall and break a hip, St Peter’s Hospital in Chertsey has once again come out as one of the safest places in the country to be treated. 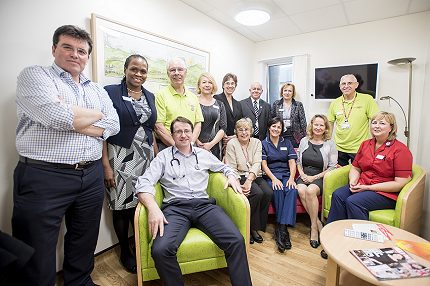 Partnership working is at the heart of a new chemotherapy service launched recently for patients at Ashford Hospital, Middlesex. 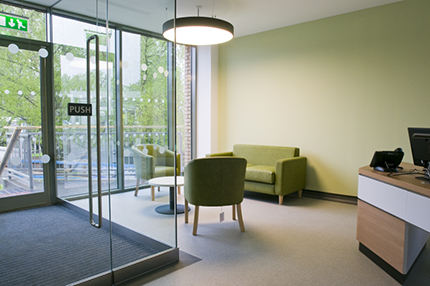 As part of a joint project between Ashford and St Peter’s Hospitals and The Royal Surrey County Hospital NHS Foundation Trusts – who plan to merge next year – patients living around Ashford Hospital are able to receive chemotherapy locally rather than having to travel to specialist centres, for example in Guildford or London. 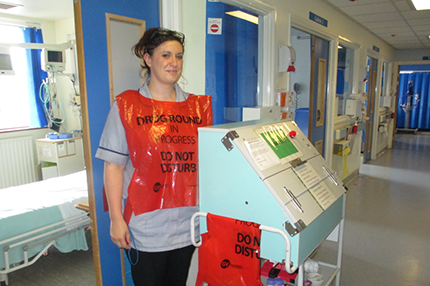 An innovative patient safety project is being trialled at St Peter’s Hospital (on Aspen Ward) for patients who are prescribed oxygen. 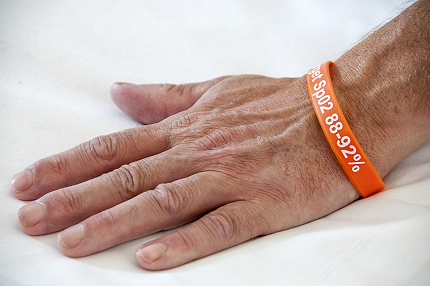 As with so many of the best ideas it’s really simple; a coloured wrist band to alert staff to the right oxygen saturation levels for that patient. Model, TV presenter and proud Mum, Abbey Clancy, opened the new Midwifery Led Unit – the Abbey Birth Centre - at St. Peter’s Hospital in Chertsey last week. 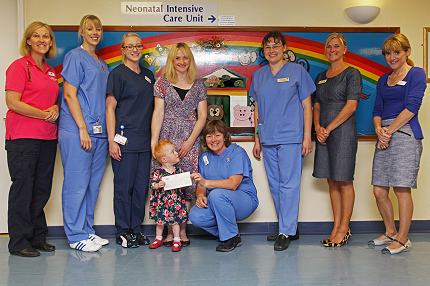 Alison and Duncan Kelly have never forgotten the debt of gratitude they owe to the staff of the Neonatal Intensive Care Unit (NICU) at St. Peter’s Hospital, Chertsey, where their daughter, Hope, was cared for after her premature birth in 2011. Patients who have operations on their large bowel at St Peter’s Hospital in Chertsey have a lower than average risk of contracting an infection afterwards, a national survey by Public Health England has shown. 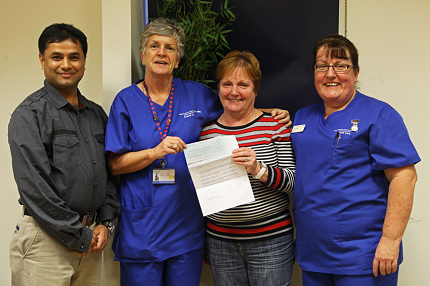 Ann Chapman from Ashford, visited St Peter’s Hospital on Thursday 13 November 2014, to present a cheque for £1,500 to the Intensive Care Unit in memory of her late husband Charles (Chas) Chapman who sadly passed away on 19 March this year in this Unit. Ashford and St Peter’s Director of Workforce, Louise McKenzie joined others across the country and wore purple to raise awareness of World Prematurity Day on Monday 17th November 2014 and the serious issues that premature babies and their families face. 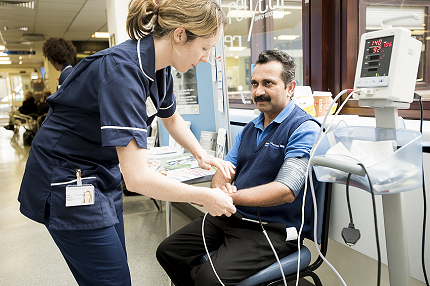 Information about Atrial Fibrillation (AF) was available at an information stand in the foyer of St Peter’s Hospital on Tuesday 25 November 2014 which also offered a simple pulse check for AF. Arrhythmia Specialist Nurses, Patricia Little and Lisa Galley were on hand, carrying out pulse checks and offering advice and information. 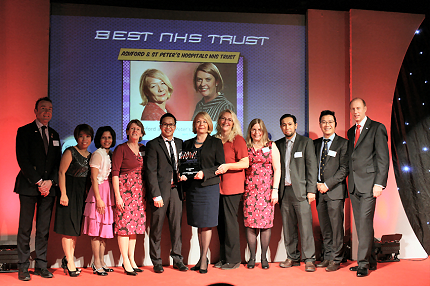 Ashford and St Peter’s Hospitals NHS Foundation Trust took home the award for ‘Best NHS Trust’ after receiving an outstanding number of positive comments from patients. 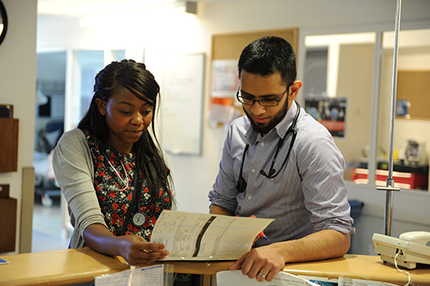 They have demonstrated a high level of passion and commitment by developing their organisation and improving patient services. 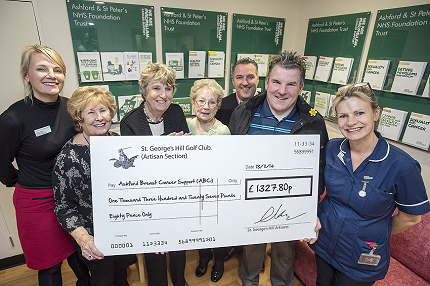 The Artisan Section of St Georges Hill Golf Club has generously given £1327.80 of fundraising to the Ashford Breast Cancer Support Group. Ashford and St Peter’s Hospital Foundation Trust’s consultant geriatrician and specialty lead for care of the elderly, Dr Radcliffe Lisk won the prestigious award for Emerging Leader at the NHS Kent, Surrey & Sussex Leadership Collaborative Recognition Awards for 2014 on Thursday 27 November in Tonbridge, Kent. Ashford and St Peter’s Hospitals NHS Foundation Trust Chief Executive Suzanne Rankin was joined by Executive Board members, HeartBeat Support (Woking) volunteers and staff from Birch Acute Cardiac Unit (BACU), on Wednesday 26 November at the official opening of the co-located cardiac unit at St Peter’s Hospital. 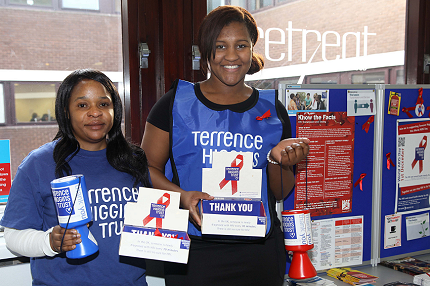 The Blanche Heriot Unit at St Peter’s Hospital joined forces with the Terrence Higgins Trust to raise awareness and provide testing and advice on Monday 24 November and Wednesday 26 November as part of National HIV Testing Week and on Monday 1 December in support of World AIDS Day. Doctors from Ashford and St Peter’s Hospitals NHS Foundation Trust have joined forces with colleagues from North West Surrey Clinical Commissioning Group (CCG) to encourage people with minor ailments to use the right NHS services this season after black status was announced two days in a row at St Peter’s A&E department. 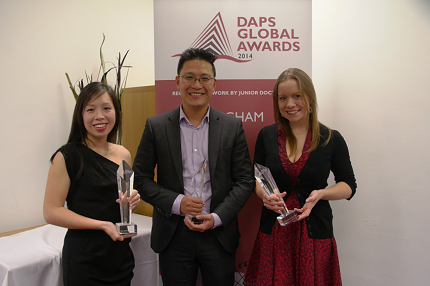 Ashford and St Peter’s Hospitals NHS Foundation Trust were the proud winners of three awards at the DAPS (Doctors Advancing Patient Safety) Global Awards on Friday 14 November which was part of the DAPS Global Summit in Nottingham. 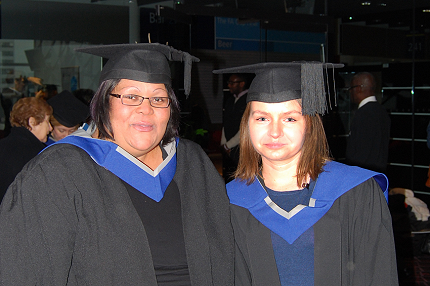 Two St Peter’s Health Play Specialists, Izabela Wakula and Nicola Ruff, graduated on Tuesday 25 November, each with a Foundation Degree in healthcare play specialism from the University of West London. 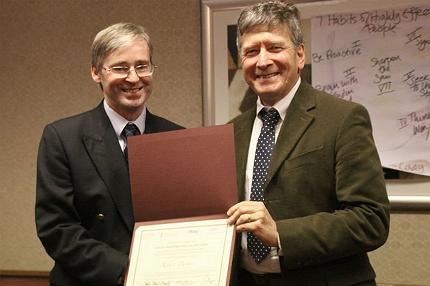 Ashford and St Peter’s joint clinical lead in Radiology, Dr Robert Davies was presented with a prestigious award for the ‘most significant improvement in quality, safety, patient outcome and experience’ by the president of the Royal College of Radiologists (RCR) Dr Giles Maskell. This was for his work in streamlining chest x-rays reporting and making dramatic cuts in the waiting time for the results for patients and the doctors treating them. NHS trusts up and down the country have teamed up with NAT (National AIDS Trust) and committed to an NHS with ‘No HIV Stigma’. 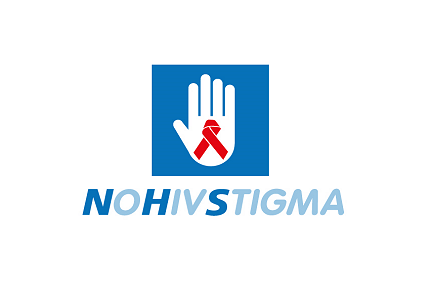 The No HIV Stigma campaign empowers NHS employees to learn more about HIV and take the lead in combatting stigma. 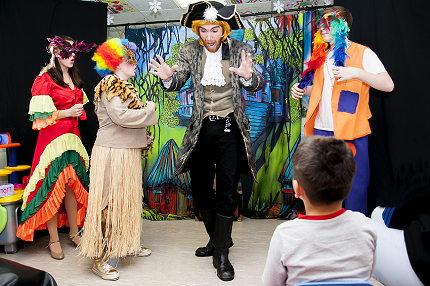 Christmas is a particularly difficult time of year for children to be in hospitals and hospices so this festive season, Starlight Children’s Foundation brought a big dose of fun and laughter to children in Ash Ward at St Peter’s Hospital, Chertsey when its amazing pop-up pantomime paid a visit on Tuesday 9 December 2014. 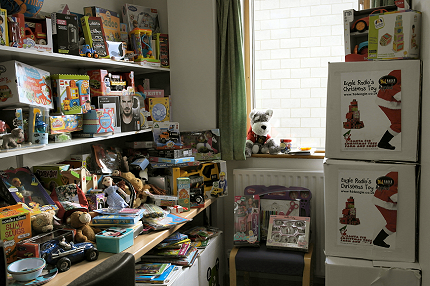 St Peter’s Hospital would like to thank Eagle Radio and all the people who donated to their Christmas Toy Appeal this year. 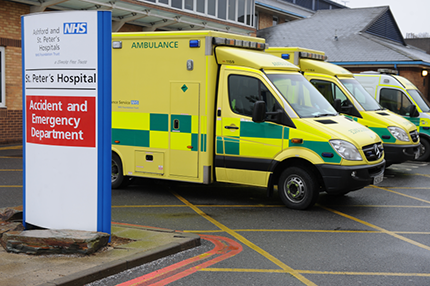 The NHS in North West Surrey is experiencing very high levels of demand on A&E, 999, out of hours and GP services and is asking patients who do not need urgent treatment to leave these services free for those who really need them.